He may very well have prevented more shootings, in effort to stop the shooter and distract him. Unfortunately, now Byron is in the hospital, severely wounded with both legs shot and broken, and the third bullet wound in the shoulder. 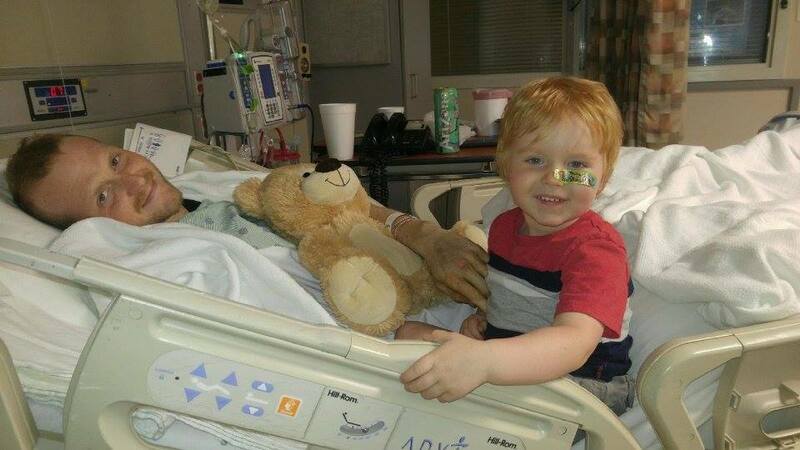 He has already undergone multiple surgeries and blood transfusions, and he has many more surgeries to go. His road to recovery is very long, and he may not be able to walk again for two years. 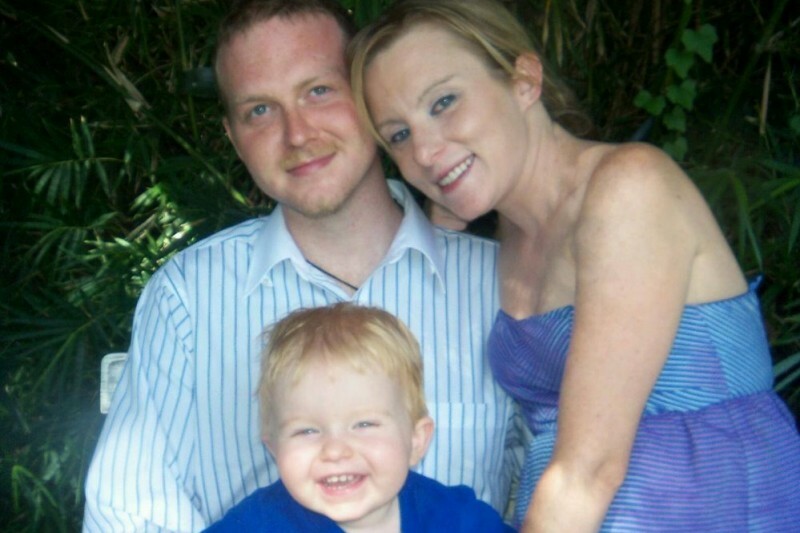 Bryon, his 4 year old son, and his wife Kendra need your help. Please donate, any amount helps and please share this far and wide. Byron's wife, Kendra, is a very dear friend to me. Through our relationship, I quickly was able to call Byron a dear friend as well. They are the most amazing, kind-hearted, loving, and generous people I know. She and Byron are so incredibly dedicated to their family. This little family has been a gift to have in my life. Please help all of them during this grave time of need. 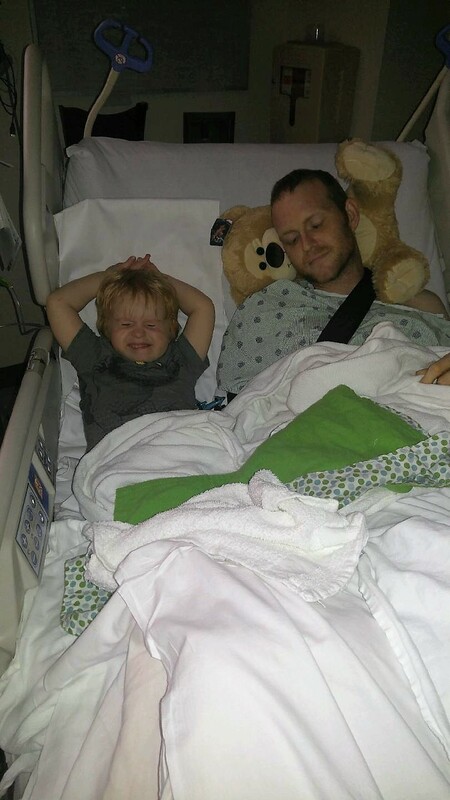 Byron's medical bills are stacking up very quickly; I know all of us can relate to Byron, whether we have children, a spouse, parents who rely on us, or even all three. Please donate to help this family get through this extremely difficult time. Please click here to view the story of this terrible tragedy. Last Thursday Byron went in for a 5 hour surgery for this procedure http://www.vashishtaorthopaedics.com/Illizarov.html to help regrow bone in his left leg. His left leg endured the most damage during the shooting. He will have this device for the next 8 months. It requires daily turning of the nuts, so slowly over time the bone will lengthen. Sunday was his birthday! He is the big 31 now. It was Kendra's birthday on Monday too. I've been spending alot of time with them, helping out as much as I can, every moment is a blessing. I brought my dog Sugar over, as she loves kids. 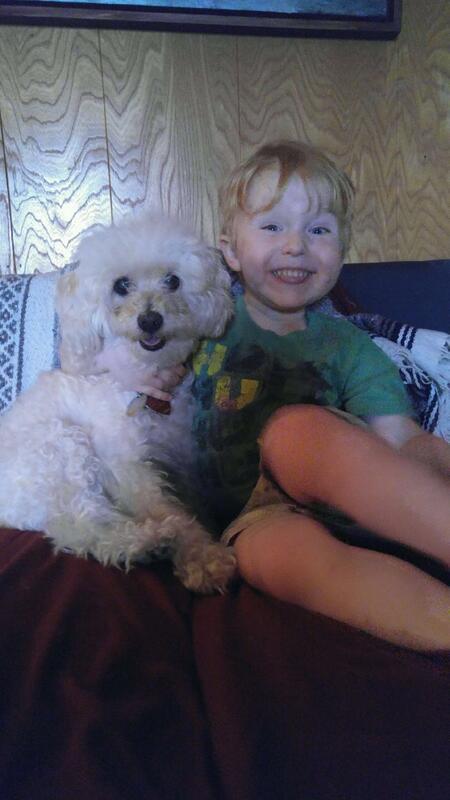 She quickly became best friends with their son (see photo). It helps when their son starts to feel sad about daddy, he is turning 4 this month so it is still hard for him to understand what's going on. Thank you all so much for the prayers and continued support! Byron's recovery is still long, slowly but surely we will get there! Byron's recovery has been going extremely well, he was released from the hospital much sooner than we expected!!! He is extremely happy that most of his surgeries are over now, and he has months of physical therapy ahead of him. His shoulder may very well need surgeries in the future, but for now Byron is recovering at home. He is wheelchair bound for now, but is eager to start his recovery at home and hopes to be able to walk a little by Christmas time. The Wilson family would like to thank each and every one of you who shared, donated, supported, prayed, hugged, sent cards, and most recently his neighbors who rallied together to help landscape their yard. They are truly and forever grateful for the outpour of love and support. 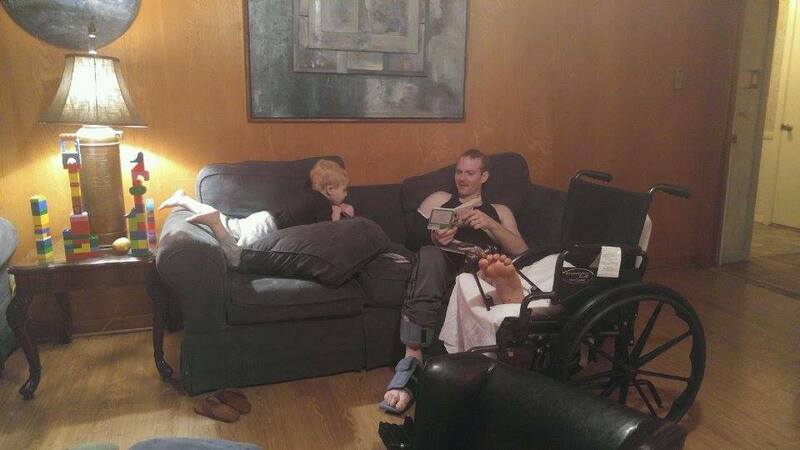 Bryon reading to his son, back at home. Thank you so very much for the continued support, donations, and sharing. Bryon's story has reached as far as Australia! It is truly amazing. Byron is cherishing every moment when his son and wife visit him. His spirits remain high and he tries to make the best of each moment. Thank you for all of the love and support, it truly has made a world of a difference for this little family. Byron is recovering well from his most recent surgery on Friday. He asked that I update you all and thank you for the tremendous support and donations. He is incredibly thankful to be alive and is taking it day by day. He is also thankful to be able to spend time with his family between upcoming surgeries. He knows his road to recovery is very long, but he keeps his spirits high. His wife Kendra would also like to thank all of you for the continued support and kind words. We cannot say thank you enough times, thank you, thank you, thank you. God's speed and good luck. I would have left a donation before but I'm kind of a computer dwebe. 'God Bless Your family!